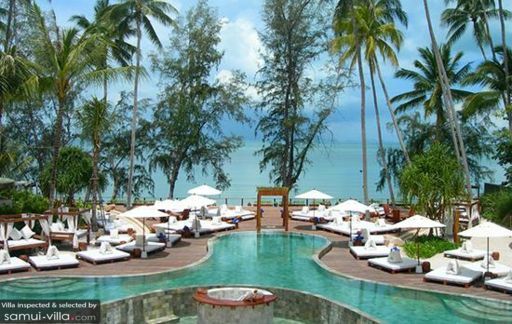 Fine and fancy Nikki Beach Samui occupies a prime location along Lipa Noi Beach. This chic beach club boasts a pretty setting – guests will find an array of daybeds, stylish sun umbrellas and a sparkling pool within a vast and spacious compound. Apart from a gorgeous setting, Nikki Beach Samui also dishes up a diverse array of tasty treats, such as crisp salads, sushi, seafood side dishes and refreshing beverages. Spice up your weekdays by joining the fun-filled events held at the venue.